Imagine a driver coming back from work deciding to turn the Uber app on to conduct the Uber business. This looks like to a routine and established business practice nowadays however dealing with this dynamic nature of insurance risk profile has made the entire insurance servicing industry rethink about their product and tech strategy. A car driver covered under personal auto insurance needs to be covered under commercial auto insurance, the moment the driver decides to turn the Uber app on. This changes the driver risk profile instantaneously and demands the need to cover the driver under the new risk profile with an appropriate insurance product with the same person and vehicle profiles. Another similar example is a homeowner renting out a room to an Airbnb customer. This very nature of new, dynamic business models and the need to provide an appropriate insurance product to cover the risk real time and accurately is creating this revolution in the insurance products and tech world. Rich, Configurable/responsive mode of data presentation. Let’s take a look at each of these components in detail. The insurance industry runs on data both historical and transactional. The more the data the more accurate the assessment and risk calculations. The advances in sensors technology have created channels to acquire data which were not possible earlier. Any device today can be turned into a smart device. Smart shoes can collect data about athlete’s footwork, smart trackers can track drivers driving patterns, drones can collect accurate data in remote areas. Coupled with advances in data streaming technology, collection, and storage of large amounts of data is now possible which is a key factor in predicting accurate risk and thus reduce the premiums. The evolution of AI, big data processing and computing power has made data processing very powerful to look for desired insights and derive accurate metrics. Image processing has improved the accuracy of damage assessment, Complex events processing has improved the prediction accuracy of risk, and advances in healthcare technology has made it possible to reduce the accidents and related injuries. These are just a few examples of where AI is currently being used. The potential is multifold and yet to be explored/commercialized. API’s help exposes the data and the logic securely to a wide variety of consumers including other business entities. This has created new business models among the business entities by sharing data and logic to deliver increased business value to the customer. Coupled with cloud technology the API’s have made real-time decisions possible across geographically diverse data stores and logic. The advances in UI and front-end technologies have enabled the creation of various dashboards possible across a variety of channels and devices. It’s also possible to white label the UI in the form of widgets to speed up the UI development process. Frameworks like React, Angular, Vue have reduced the dependence on the server-side logic and have improved the performance of data presentation. 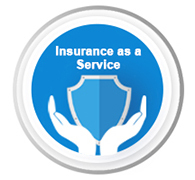 Insurance tech is getting more exciting day by day by enabling a business to be agile, customer friendly and secure. While there are a lot of unexplored areas, we are witnessing a revolution in the insurance industry to bring insurance closer to the customer by making Insurance available on demand or by leveraging ‘Insurance As a Service’ model. Innovecture is helping a large insurance and risk broker to launch new products by transforming its core business and tech. Know more about how Innovecture is helping Fortune 500 insurance and risk broker companies. The client, a Fortune 500 Insurance and Risk Broker embarked upon the digital transformation journey to launch new insurance products and platforms.